Getting to travel all over the place we see all kinds of unusual sights. 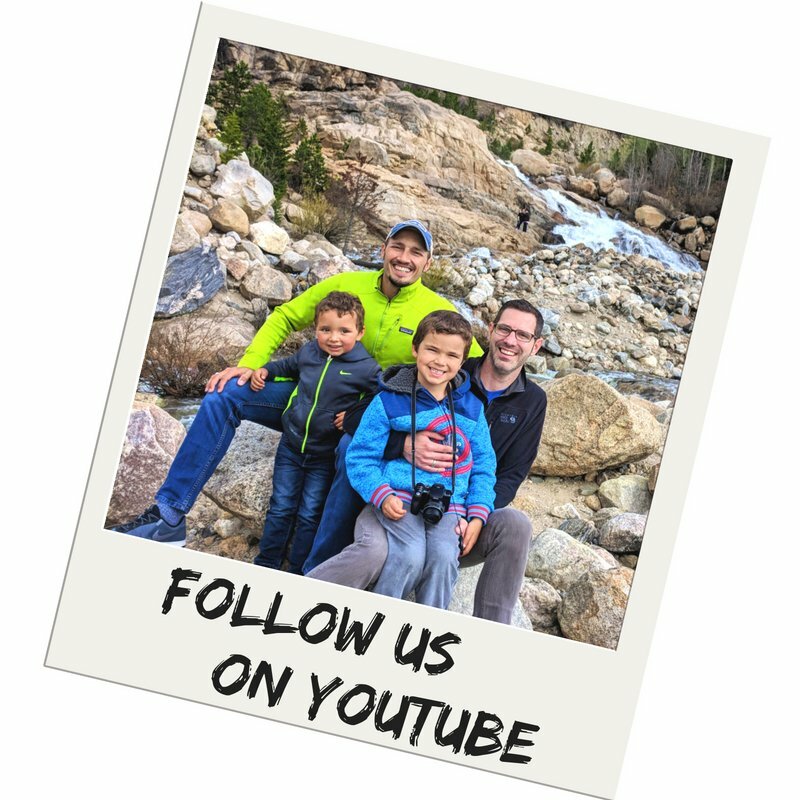 The kids love the time we get to spend in National Parks or at the beach, we dads like to explore cities a lot, and then we try to incorporate historical sites when possible. 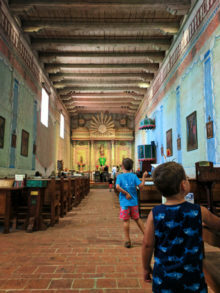 The California missions have proven to be both cool to visit with kids and totally educational. 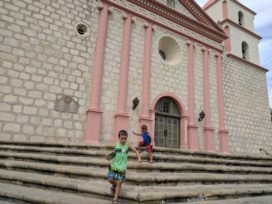 We’ve gotten to visit several of the California missions and have the goal to get to all of them in the next few years. We’re going to share just a few of them that we’ve done with the kids, as not every one is easy to get to or truly unique. 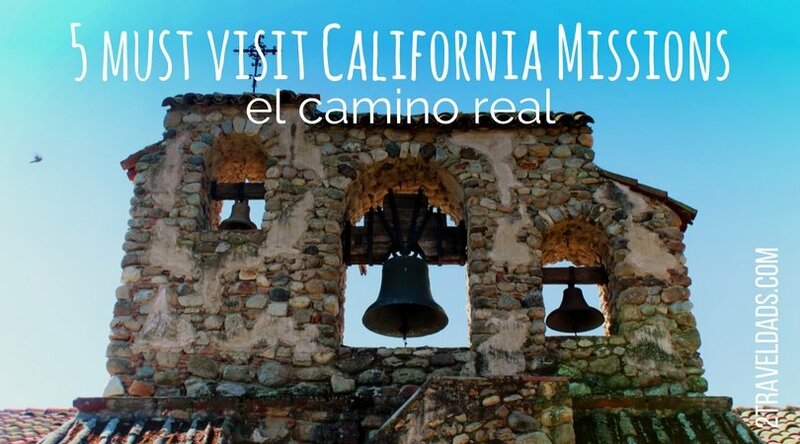 Hopefully you’ll be inspired to seek out a few of the California missions to add to your next west coast road trip. 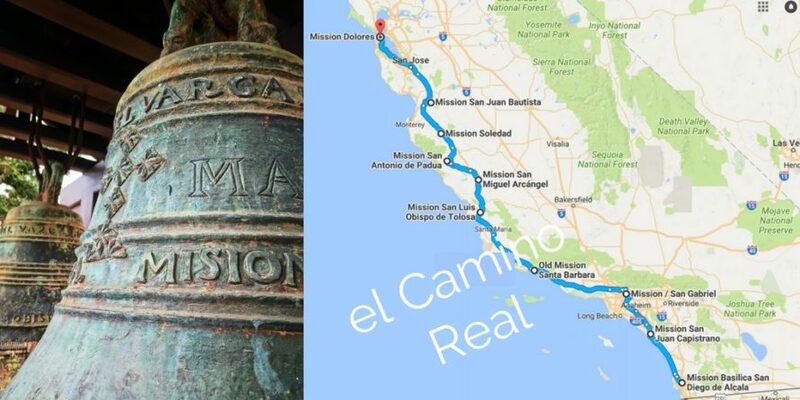 El Camino Real, the King’s Road, stretches from northern California down into Mexico. The California missions are found all along this route. Most of the way follows California Highway 101, but there are some missions located a ways off and you have to trek to them. Starting at the southern border, at the US/Mexico boundary and stretching as far north as San Francisco, you’ll find a mission every 40 to 50 miles or so. Most of the California missions are open to the public either as a museum or as a functioning church space. Before working a visit into your schedule, be sure to confirm that it’s going to be open and that you’re not visiting during services (unless you want to participate). Also, be sure to check if there are any photography restrictions within chapel areas. Note: if you journey into Baja California you’ll find more missions, both in small towns and in the larger cities of Loreto, La Paz or San Jose del Cabo. So much history! San Diego is kind of the go-to spot for beaches, zoos and food, but it’s also got some great history. 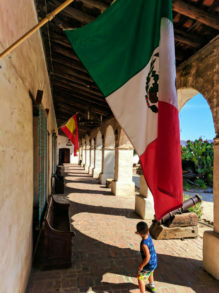 The two prime historic attractions are Old Town San Diego, where you’ll find an excavated and restored settlement, including museums and shops, and then Mission San Diego. 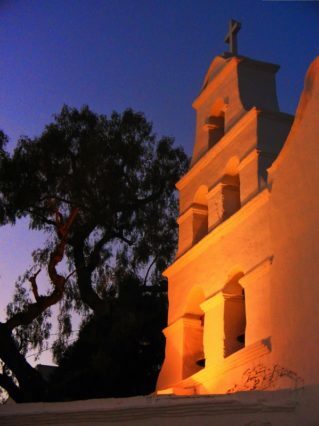 Of all the California missions, Mission San Diego certainly feels like the most grand. 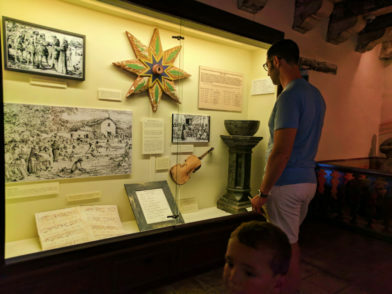 Located in the Mission Valley, away from the beaches, Mission San Diego has a grand chapel, beautiful gardens and a nice collection of historical pieces to explain the history of the California missions and their founding. It’s the perfect first stop on a journey through California’s history. 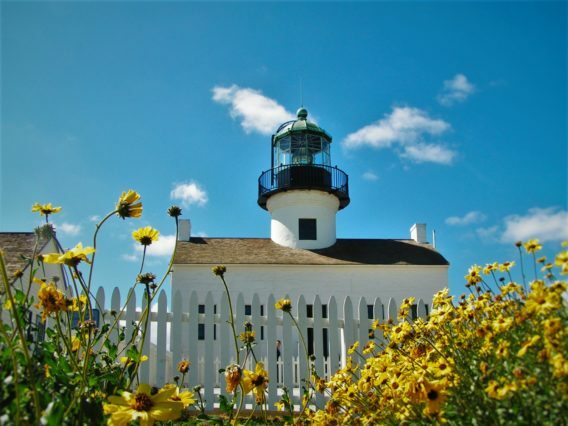 Another fun stop: Cabrillo National Monument is really cool for lighthouses, tidepools and more California history. 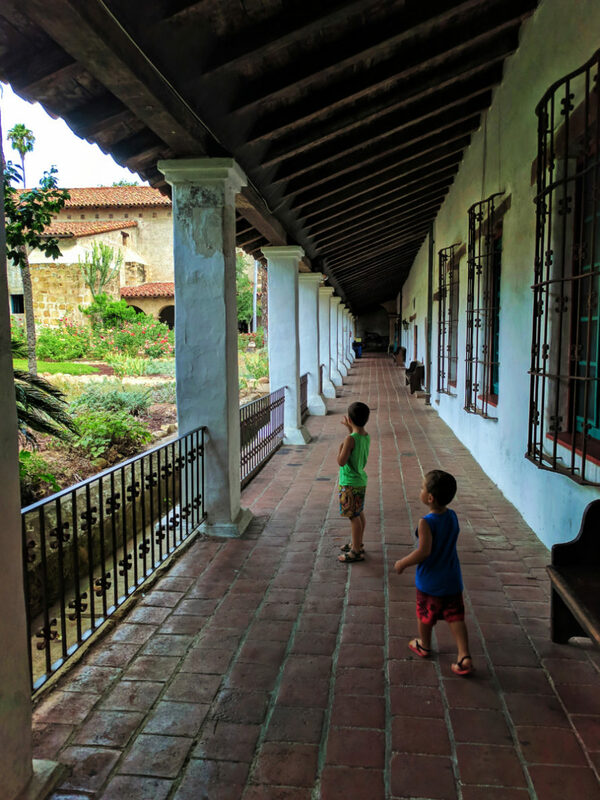 Mission San Juan Capistrano isn’t just one of our favorites of the California missions, but it’s one of the nicest historical sites in California. Located just down the hill from the 5 (Interstate 5), it’s not tough to get to. The Mission is located in the neighborhood up from the downtown and there is usually plenty of parking. Mission San Juan Capistrano was originally founded in 1775 by father Junipero Serra, the guy whose statue you see at almost every mission. 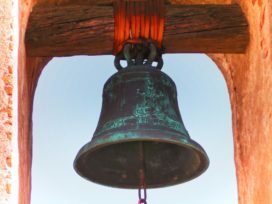 Over the years, this mission changed hands several times between Mexico, the State of California, the US Government, a ranch base… and finally it went back to the Catholic Church. It’s been destroyed and rebuilt several times and eventually excavated and renovated to the beautiful spot it is today. 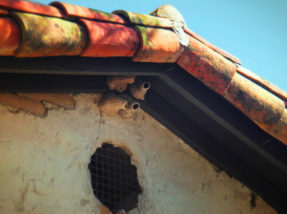 The swallows of San Juan Capistrano are famous, as every March they return to their mud nests, bring loads of photographers and tourists to the area to watch the cool, natural phenomena. 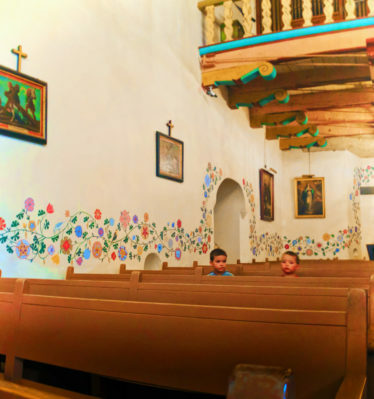 If you’re planning on visiting Mission San Juan Capistrano with kids, be sure to find and read the book The Song of the Swallows with them before hand. 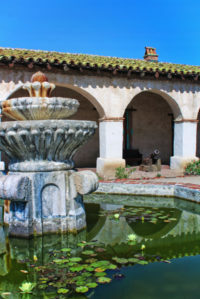 Tip: for painters and sketchers, plan to spend some extra time hanging out at Mission San Juan Capistrano. Between the ruins, bells and gardens, there are endless subjects if you’re an artist. Another fun stop: the beach at San Onofre isn’t too far south of San Juan Capistrano and there is some awesome surfing to watch (or waves to catch yourself). Leaving the SoCal area out of Los Angeles and heading north up the coast, you’ll come to the perfect little city of Santa Barbara. 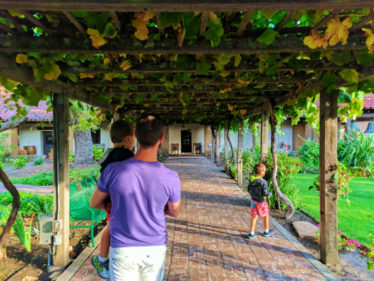 A great destination on its own with wine and art and shopping and Channel Islands National Park just off the coast, it’s perfect for a getaway. It’s also where we’ll find Mission Santa Barbara. 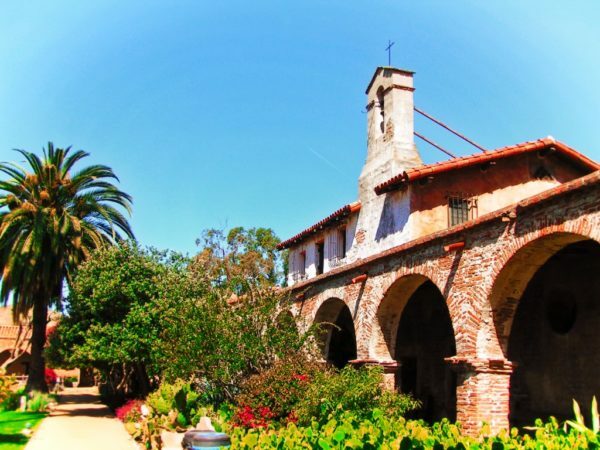 Founded in 1786, Mission Santa Barbara is one of the most picturesque of the California missions. It’s got a pale pink facade, a small cemetary, flower-filled courtyard, colorful chapel and extensive museum. 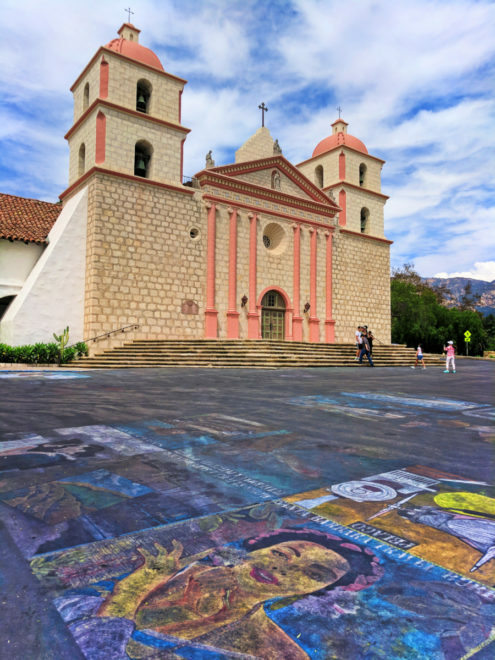 If you can only visit one of the California mission, we recommend Mission Santa Barbara for the most complete experience. And it’s just pretty. Tip: try to visit outside of mass times as it’s still a very active mission with regular services. Parking is limited, so visiting in off hours is a strong recommendation. Another fun idea: Santa Barbara has grown as a wine destination in recent years. There’s always room for wine tasting in any itinerary. 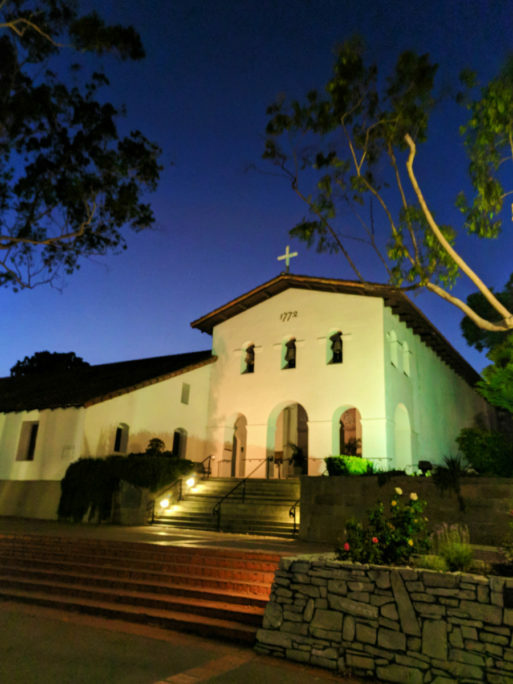 We loved the whole town of San Luis Obispo and its mission was no exception. Found mid-way up California’s Central Coast you’ll be driving through on any road trip, if you’re route is the 1 or the 101. Mission San Luis Obispo is a small mission, but it’s still very active. We visited in September when the grape vines were at their peek and all you could smell was fruit. It was really cool. 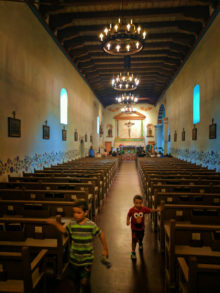 We were able to join a short tour in the chapel of Mission San Luis Obispo and would recommend trying to do the same. The church has an interesting history, including a few graves within the chapel, so for adults and kids alike, there’s something to learn… or think is strange. Tip: from Mission Plaza in front of the chapel you can access the urban trail that goes along the creek through town. There is art to check out as well and a nice, new way to experience the city. Another fun stop: do a campus visit to Cal Poly SLO. The town and outdoor activities of the area make for an incredible environment for learning… and I wish I would’ve chosen Cal Poly SLO when I was considering colleges. 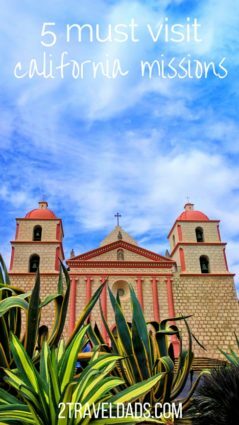 Heading inland on the way to the San Francisco Bay Area, you’ll find four California missions off the 101. We only stopped at Mission San Miguel Archangel this time and were very glad to have picked this one. Many of the California missions have seen hard times, between storms and earthquakes, to wars and neglect. 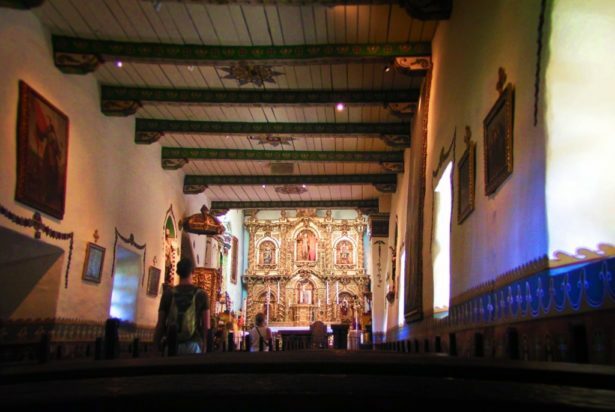 Mission San Miguel Archangel reflects all of this… and it’s still cool to visit! This mission has a museum, like most of the others, but it also has some fascinating outdoor displays. Before even entering the mission buildings we were able to learn all about life in California 300+ years ago. Sundials, ovens, millstones and olive presses all are on site for some added education. Tip: the cemetery area is also an orchard/olive grove. You’ll also access the bell tower area from this spot, so be sure you do explore the full grounds of Mission San Miguel Archangel. Another fun stop: Pinnacles National Park is about an hour north of Mission San Miguel Archangel. High chaparral hiking with caves and condors. You can’t go wrong. Today there are 21 missions still standing and open to explore. 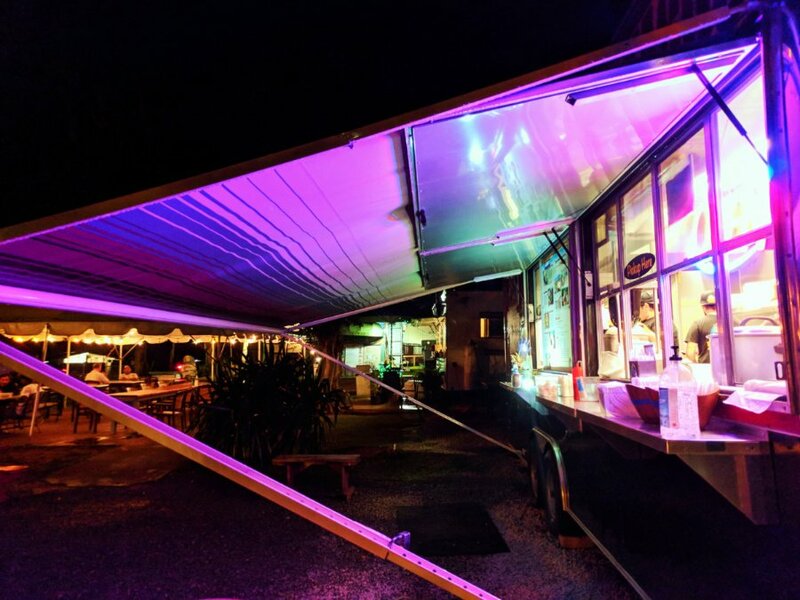 We haven’t been to any of the following, but here’s the scoop on what you’ll find if you choose to add any of them to your California road trip itinerary. 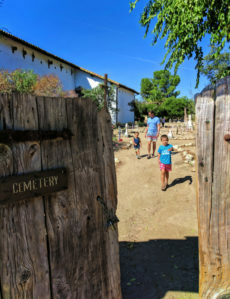 Mission Soledad – found very near Pinnacles National Park, visiting Mission Soledad and Pinnacles can be an easy day trip from the Bay Area. Mission San Antonio – 20 miles off the 101, it’s a much less visited site. 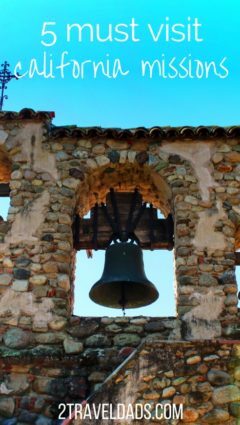 We still haven’t been but being founded in 1771 it’s one of the oldest of the California missions. 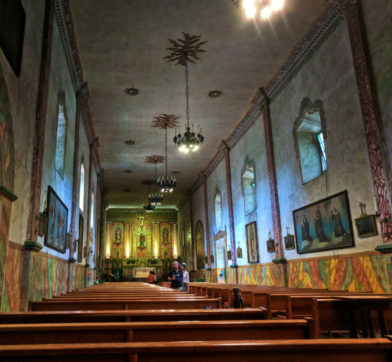 Mission Dolores – in the heart of San Francisco, Mission Dolores is a modern and active mission. 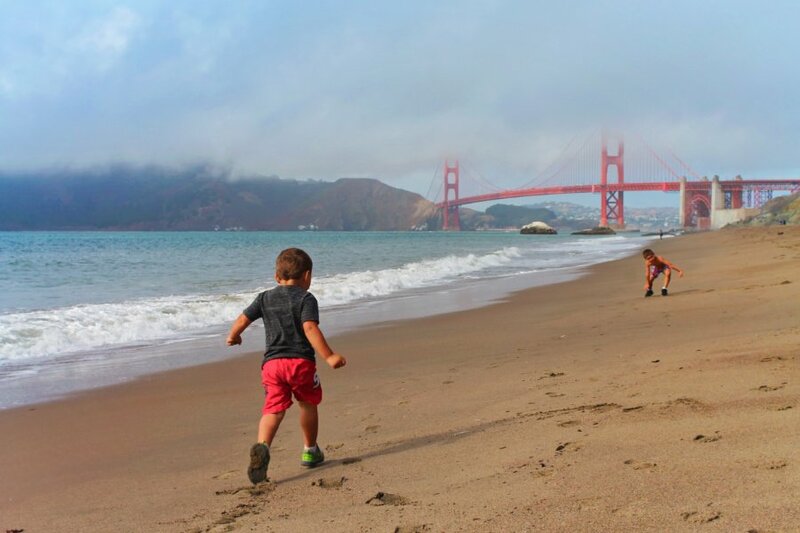 Visiting as a tourist has specific hours, so plan your San Francisco activities around when you can visit. Fun fact: Mission Dolores is the oldest building in San Francisco. 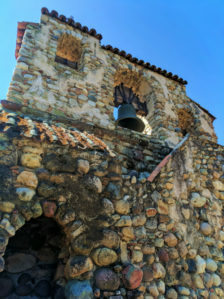 Mission San Juan Bautista – just south of San Jose this large mission is adjacent to San Juan Bautista State Historic Park. This is a great stop for a full on lesson about the development and crazy history of California. Also, this mission has lots of open space for kids to run. We’ve talked about it before that we’re not raising our kids in any religion, but that doesn’t mean that we don’t teach them about it. 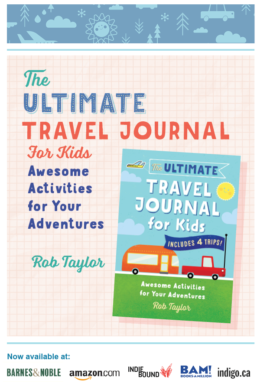 Part of giving the kids a broad world view is making sure they understand the histories and viewpoints of the many people they meet wherever we go. That includes Catholicism and it’s impact on the United States. 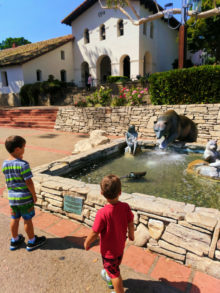 The California missions are a wonderfully unique experience for any traveler, but particularly for kids. Where else can you get a history, religion, architecture and horticulture lesson? 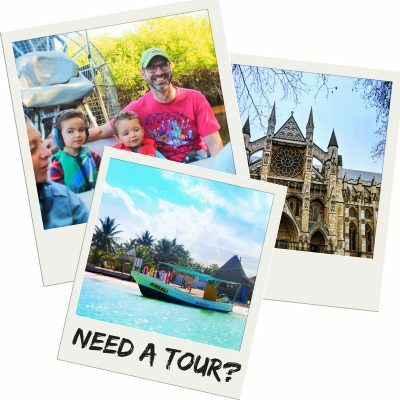 Hopefully we’ll be able to visit the rest of the missions in the coming years and that the kids will develop a solid appreciation of history and respect for other cultures as we do this. 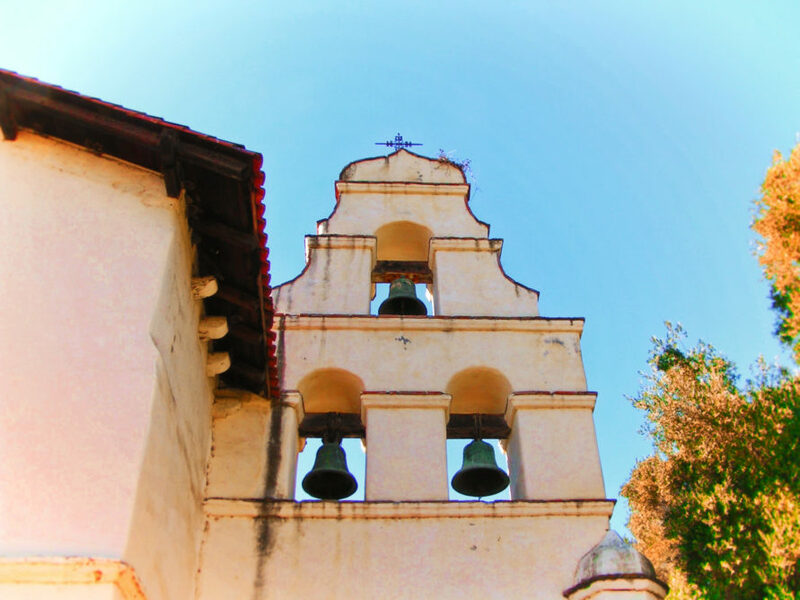 Do you have a favorite of the California missions or any other tips to share? Please tell us so we can keep on traveling and having new learning experiences! Pin this post for later when you’re plotting out you California road trip!! !